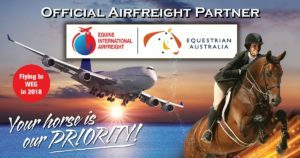 Working with EA we’ve put together this fantastic opportunity, offering you a chance to Win a trip to the FEI World Equestrian Games being held in Tryon, USA in September 2018. Not only will we fly you to WEG (in Tryon, North Carolina, USA) but we’ll also provide you and a travel partner with a one week “All Session Pass” giving access to ALL competition sessions throughout Week 1 of WEG 2018. Imagine soaking up the atmosphere at the purpose built Tryon International Equestrian Centre (TIEC) in North Carolina, USA while watching your favourite FEI discipline (Jumping, Dressage and Para-Equestrian Dressage, Eventing, Driving, Endurance, Vaulting and Reining) and cheering on the Australian Eventing team or your personal idols and favourite horses. The FEI World Equestrian Games is one of the biggest sporting events on the international calendar involving global champions taking part in all forms of equestrian competition. WEG is only held every four years, (in the middle of an Olympic cycle) and is the highest level of competition outside of the Olympics. Qualifying for WEG is a huge achievement and a dream for many. 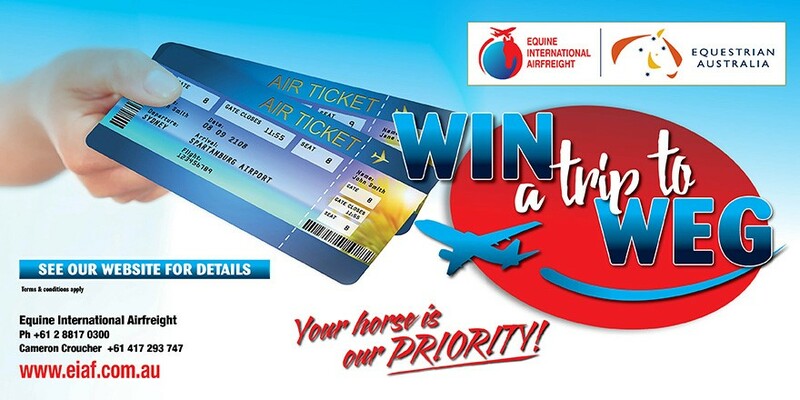 Complete the WIN a trip to WEG registration form! For your chance to be there cheering on the sidelines at WEG Tryon 2018 as records are broken and champions are made simply complete your registration details here. You must be over 18years of age to enter this competition. You must be a current member/ fully financial PAID member of EA or State based EA body. Must tell us / write in 30-50 words why you want to go to WEG. Individuals must provide EIAF with a current EA membership number (which will be cross checked with EA) at the time of entering. Prize winner must be one of the travelers. Must have a passport with validity until at least March 2019. Must be available to travel September 2018. This offer can not be exchanged for cash or used in any other way outside of these terms and conditions. Once booked, the air tickets can not be changed, transferred or adjusted. Upgrades, accommodation and transfers are at the winners expense. Entries close 12pm Saturday 30th June 2018. Applications will be judged by an EIAF panel and the winner will be the most imaginative and creative submission. Winner contacted via phone / email by close business Monday 2nd July, 2018.